The use of stainless steel in the production of tubes is due to the advantageous properties of stainless steel, the most common material used in the manufacturing of tubing. 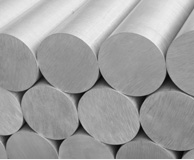 The two main grades of stainless steel used for stainless steel tubes are 304 and 316. Some additional benefits of stainless steel includes excellent corrosion resistance, is easy to clean, requires low maintenance, and is cost-effective. Although stainless steel may require a higher initial cost than other metals, maintenance and replacement costs for stainless steel tubes are lower. Stainless tubing is used in applications ranging from medical instruments and dental implants to hydraulic systems, fuel lines, and engine conduits. The paper and pulp industry has become increasingly reliant on stainless steel tubing because of the corrosive and aggressive fluids used in the process of papermaking. In addition, stainless steel tubes are also used for a variety of applications in the medical, dental, automotive, petrochemical, and semiconductor industries. Stainless steel tubes are constructed through welding, seamless tubing, or metal spinning procedures. Welding involves roll forming stainless steel and connecting the formed portions along a seam through fusion. In comparison, seamless tubing involves the creation of stainless steel tubing through piercing a round blank. Welding achieves a higher degree of precision without secondary operations. The degree of precision required depends on the industrial application. Metal spinning is a “cold worked” metal fabrication technique in which a metal spinner uses a flat round disc of sheet metal that is rotating on a spinning lathe. The metal spinning process is limited to making concentric shapes, such as tubes and pipes. Of all of the varieties of stainless steel tubes, perhaps the most easily available type is the seamless stainless steel pipe or tube, which is formed through the extrusion process. In extrusion, a solid billet is drawn over a piercing rod, which creates a hollow shell without any seams. The ability to not produce seams is not possible in welding processes, in which seams are unavoidable. Stainless Steel Tube Stainless steel tubes are hollow, cylindrical objects used as equipment components or as the medium through which fluids pass.